At Flying Food, Coulter was in charge of developing the Starbucks Chilled Lunch program. 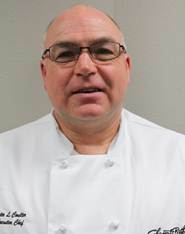 Here's how he describes his culinary strengths on his Linked-In profile: "Cold food development, extended shelf-life food design, Health and Wellness food development, bread science and development, National ingredient sourcing for National programs, extended shelf-life processed produce management, and extended shelf-life plate design." In other words, qualities one associates with box lunches (Gretchen's) rather than high-end steakhouses (Daniel's). But Schwartz Bros. president Lindsey Schwartz told Cornichon earlier this month that the company's restaurants account for less than a third of its revenues these days. Daniel's Leschi is now offering brunch on Saturday and Sunday, by the way. We sampled a fine crab-enhanced eggs benedict at a media preview a couple of weekends ago. Downtown, there's going to be a new name for the Terrace Restaurant at the Red Lion: Frolik, full name Frolik Kitchen & Cocktails, Why do corporate restaurants all sound like they were named by a committee? (Case in point: the Westin's new "Relish.") The outdoor patio with its terrific view overlooking 5th Avenue will be redecorated to include shuffleboard; inside there's a 127-seat bar and all-hours restaurant. Cocktails from the deft hand of consultant Mike McSorley. 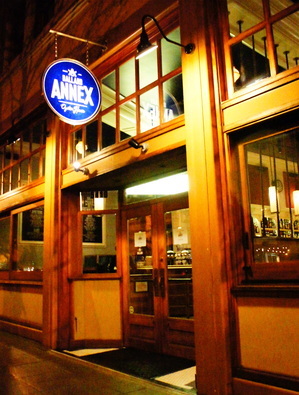 And in Ballard, a new oyster house from the dynamic duo that opened Kickin Boot just six months ago: Ballard Annex. A very promising raw bar (Taylor Shellfish, of course); oyster shooters, chowders made in small-batch steam kettles atop the bar; astonishingly juicy lobster rolls; baked mussels; oysters Rockefeller; Champagne and Prosecco by the glass; a Negroni made with Carpano Antica; and, on Sundays, bouillabaisse. 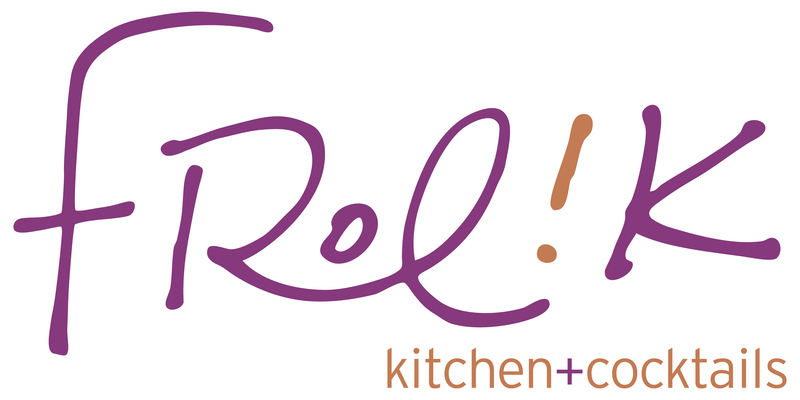 Josh Green, who's been at Ponti and at the Virginia Inn, will run the kitchen. The buildout of the old Ballard News building resulted in a 65-seat dining room, a 60-seat "private dining" space, and room for 35 in the bar. The owners are Nathan Opper and Zak Melang, whose picture are backstory can be found here. Opens to the public on Thursday. This page contains a single entry by Cornichon published on March 20, 2013 1:30 PM. Hail to the chefs, etc! was the previous entry in this blog. The details of deviled eggs is the next entry in this blog.